In perfume nothing is certain, tastes change and develop, and those fragrances we once loved can quickly fall out of fashion and become yesterday’s news. Just as we can lose love for fragrance we once admired we can also find love for those that we’ve hated, ignored or felt unimpressed by. I like to call this big perfume turn around ‘The Big 180’ as in the big ‘180 degrees turn around’. I’m sure many of you have experienced the big 180 before, we’ve all had that moment where you pick up a sample or tester of a fragrance that you have smelled a million times before, knowing full well that the juice inside has failed to impress, or even disturbed you in the past. But this time something between you and the fragrance just clicks. Suddenly you understand the fragrance in a way you never did before, stars aligns within the universe and a new found appreciation is formed. I had a big 180 recently with a perfume I genuinely disliked, namely Nuit de Tubéreuse by L’Artisan Parfumeur. I’m a HUGE fan of tuberose (see The Candy Perfume Boy’s Guide to Tuberose) and everything about L’Artisan’s most recent tuberose offering offended my nose; I found it to be sour, almost sticky in texture and unpleasant. It just so happened that another L’Artisan fragrance, the upcoming Séville à l’aube that led me to revisit this maligned tuberose and that’s when the big 180 happened. Bertrand Duchaufour is well known for his exciting creations that, for the most part are refreshing takes on classic genres. Just look at the ‘corrupted’ white floral he did for Penhaligon’s (Amaranthine), or his modern take on the fougère for the same house (Sartorial) and even the exuberant yet classy fruity floral he did for Neela Vermeire Creations (Bombay Bling!) for proof of his talent for rehashing the most staid and over-exposed of genres. 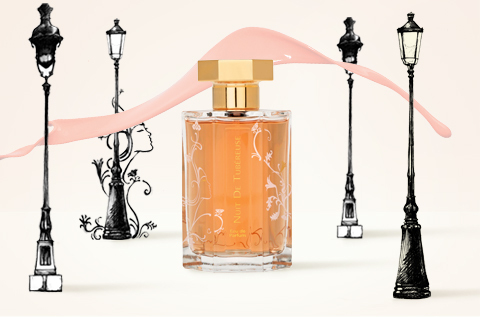 Nuit de Tubéreuse is no exception to this rule, it’s a tuberose like no other. Part of my initial problem with Nuit de Tubéreuse was that I expected a new Fracas/Carnal Flower/Tubéreuse Criminelle/Insert name of epic tuberose fragrance here. But Nuit de Tubéreuse is not simply ‘another tuberose’, not at all, instead it is a wonderfully unusual take on the flower. I look at it this way – Nuit de Tubéreuse is a floral not a tuberose. Nuit de Tubéreuse opens fresh and green with the tickle of pink pepper and the sour, sweetness of mango. The opening is discordant and troubling, almost as if danger lurks behind the fresh, green stems of the tuberose flower. Mango has an almost sulphuric smell to it that in an albeit quite light dose, adds to the discord in the beginning, but it’s the discord that brings the interest. The tuberose unfolds more with time, but it never quite feels like a full tuberose. There is a hot, steamy quality to the flowers, which includes the tuberose’s supporting acts; jasmine ylang-ylang and orange blossom, that is incredibly evocative of stifling, humid Parisian nights. The only time I have been to Paris was during mid-summer and there is nothing quite like those humid nights in the city of lights. The working title for Nuit de Tuberéuse was ‘Belle de Nuit’ (Beauty of the Night), and I think it is more fitting for a fragrance that feels like an exciting, yet dangerous encounter with a beautiful ‘lady of the night’, roaming the streets of Paris and anticipating the the pleasures that the evening brings. Nuit de Tubéreuse is a perfume of two halves. Hot, tropical flowers are tamed by the impression of cold and aloof incense. What is most intriguing about the incense is that there isn’t any within the composition at all, it is rather the impression of incense, cleverly created by the pairing of the pink pepper and mango . This impression of incense adds a dry, earthy facet that pairs perfectly with the sweet tropical nature of the florals. The base is, unsurprisingly for a Duchaufour creation, full or strong dry woods and despite the fact that they do add a hint of warmth to the composition it still feels surprisingly austere in the dry down. The sweetness of the tuberose lasts all the way through to the end and the remnants of this narcotic flower leave a trail, a mere hint of the pleasures had the night before in the stifling heat on the streets of the city streets. It is fair to say that Nuit de Tubéreuse is not your typical ‘heavy-hitter tuberose’ that we are used to seeing, it’s actually quite light, although I would never describe it as ephemeral, it is something else entirely. Nuit de Tubéreuse stands unique amongst its tuberose counterparts, and whilst it may take a little persistence to understand and love, it is absolutely worth the effort. Nuit de Tubéreuse has been entered into The Candy Perfume Boy’s Guide to Tuberose as a reference tuberose with the title of “The Labyrinthine Tuberose”. Nuit de Tubéreuse is available in 50ml and 100ml Eau de Parfum, prices range from £65-£88 and it can be purchased from the L’Artisan Parfumeur website. This review is based on a bottle of Nuit de Tubéreuse from my own collection. All links are for information only and I am not affiliated with any external parties. Posted in Floral, L'Artisan Parfumeur, Perfume Reviews, Unisex and tagged Bertrand Duchaufour, Floral, L'Artisan Parfumeur, Nuit de Tubéreuse, Paris, Unisex. Bookmark the permalink. Oooh I’ve been wondering what your thoughts on this one were. Isn’t it interesting how love of one perfume can lead you to a new appreciation of another? You’re right to approach it as a tropical floral rather than a tuberose soliflore – probably the reason I like it! It took repeated wearings though and I only really “got” Nuit de Tubereuse on a hot summer’s day. For me, It really needs a lot of heat. If we ever get a long, hot summer I’d invest in a large decant at the very least. Here’s hoping! It really is interesting! It’s like something in Séville à l’aube clicked and made me ‘get’ NdT, I ordered a partial bottle on the spot! I’ve never loved it, but there is something so compelling about it, so unusual, that I wear it as a sleep scent from time to time. I think that this one and Penhaglion’s Amaranthine are, while unique, similar in concept to one another; no surprise of course, same perfumer — Duchaufour. Compelling is the right word. I definitely see the similarity between NdT and Amaranthine, the latter of which takes the tropical aspect to the extreme. Both are beautiful. I’m entirely unsure about NdT. One day I think I get it, then again I don’t… I guess it is a good sign if a perfume is so hard to pin down. I did a huge 180 on Alahine – and now it is one of my very favorites! It went from being just an extra sample Abigail stuck in with my Posh Peasant order, one I didn’t like, to one I had to keep smelling, to something I Had To Have. I tried so hard with Nuit de Tubereuse, too – it is odd like Memoir and it was completely unlike my expectation of it, and I just kept trying it, kept trying it… I appreciate it now, but I do not enjoy wearing it. The opening is so jungly and mildewy, I just struggle so much with it. It’s like hacking your way through undergrowth with a machete to get to that very pleasant heart/drydown. But then, I have Mango Issues. Don’t like it, either in perfume or on a plate. I had worn Seville a l’Aube for about six hours before it reminded me of NdT – strong similarities there, I agree, and that’s really no surprise, except I’d be hard-pressed to name any other Duchaufour scents that remind of NdT. I am still awaiting my 180 on this one! I approached it somewhat wrily to begin with, because my own experience of hot Paris nights is an alternate reality of cheap hotel rooms in the less fashionable arrondissements near the Gare du Nord and L’Est, stiflingly hot because of the lack of air con, and featuring a wobbly assortment of tatty wooden furniture, and an internet connection that only works on the third step of the stairs. But more than the non-relatability of the theme, I had issues with notes of Juicy Fruit bubble gum and menthol that have put me off even retrying it. Though it is a BD, so it may well repay a bit of perseverance. Props to it for not being an “easy” orange blossom like Jo Malone. I guess I am more drawn to “complex but not overly weird orange blossoms” such as Seville or the Orange Blossom he did for Penhaligons. 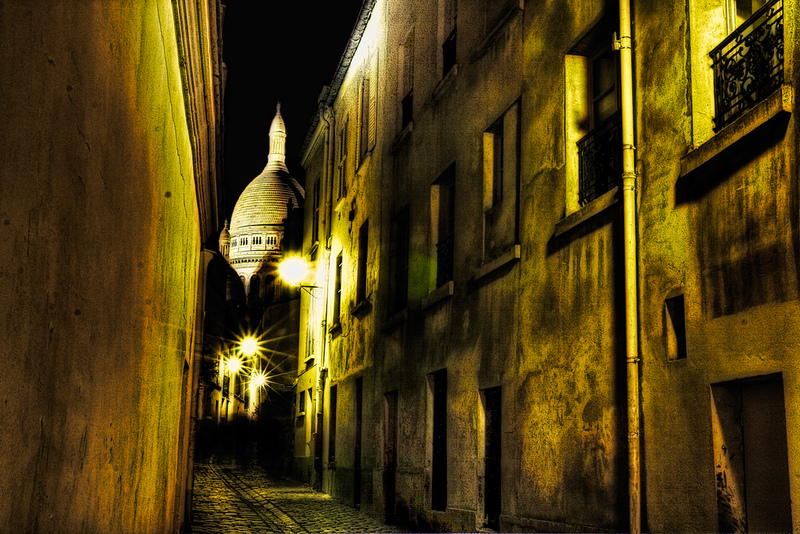 I think your experience of stifling nights in Paris is probably more true to life than the romantic notions that NdT suggests! I can see why the juicy fruit and menthol notes might put you off, they certainly were troublesome for me to begin with. PS Labyrinthine Tuberose is an excellent retrospective addition to the tuberose canon! I wonder if I’ll do my 180 with Violet Blonde – everyone is so head over heels with that fragrance and for me, I wish it smelled diffrerently. Maybe I’ll have to put myself through another headache to really figure out why I don’t like it. I tried 3x with this one. Also, I hate to admit – I am waiting for my 180 with Lipstick Rose. I guess violet just doesn’t do it for me, sadly. Violet Blonde is so lovely, I hope you can do a 180 with it someday. Tuberose is the most wonderful of notes, I hope the guide leads you to something you like. The name of this perfume is misleading. You like tuberose and so didn’t like it (at first). I don’t like tuberose and so expected to dislike this one. As it turns out during the summer I wear NdT so often that my car and air conditioner air smell like it! The next time you’re wearing NdT try boiling pasta water (or tea water in an open container) and hover your arms over the steam. That’s when the tuberose suddenly appears and it smells pretty amazing, even to a non lover of the note. I totally agree, the name is completely misleading. I really do think Belle de Nuit would have been a much more appropriate name. Your car and air conditioner must smell pretty damn good! I shall try hovering my NdT-infused arms over steaming water next time. I tried to love this for a year, but in the end, gave it to a friend. The drydown is just too woody, harsh and bitter for me, and it lasts forever. I’d even managed to cope with the mildewy note on top….So the new Seville resembles it? That’s too bad, I doubt I could wear it, either…. A tuberose that isn’t quite tuberose? Count me in, since I’m still having some difficulty appreciating the flower. I haven’t smelled many of the L’Artisan fragrances, and this is one I’ve always overlooked. I guess I need to give it a sniff! The L’Artisans really are worth checking out, especially the Duchaufour ones such as; Nuit de Tubéreuse, Traversée du Bosphore, Vanille Absolument, Al Oudh and Séville à l’aube. Yay, I am more than happy to enable! I hope you enjoy your Nuit de Tubéreuse! It will come as no surprise to you Tom when I tell you this is y most recent favourite perfume. I love it, love it, love it! I am going to start saving for a bottle it is so gorgeous. As you say, this does not come as a surprise at all! You do love your tuberose!